Do you know that your social media profile play a great role in finding your ideal job? Anything you write in your profile can affect your job application so you better know how to do it right. 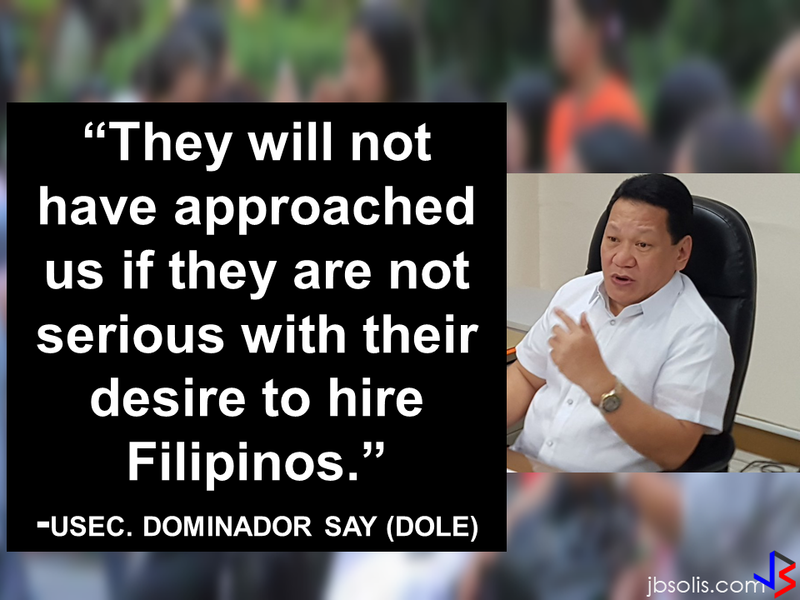 To the fresh graduates seeking employment, employers friendly advice would be to fix their online profiles to serve as a plus point for the companies that evaluate them online. You must be cautious about what you are posting because believe it or not, there are companies who checks your online profile. It doesn't to be unreal or invented just to impress, it just have to be honest and true. In a social media platform Linkedin, for example, you can build your professional network and they can recommend you in a certain group or employers. In a n estimate, there are 4 million Filipinos with Linkedin account wherein around 20,000 companies are active. Having an account might land you on your dream job. The most in-demand jobs online are on the field of sales, software developer, customer service specialist, marketing specialist, administration manager, IT support specialist, HR professional, IT consultant and accountant. 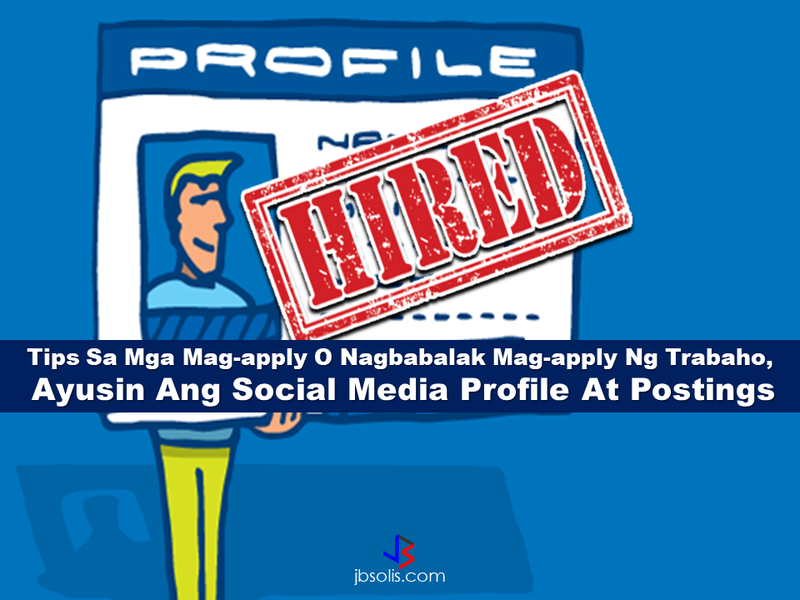 Having an impressive online profile is as good as a resume properly presented. That is very important if you want to get hired. 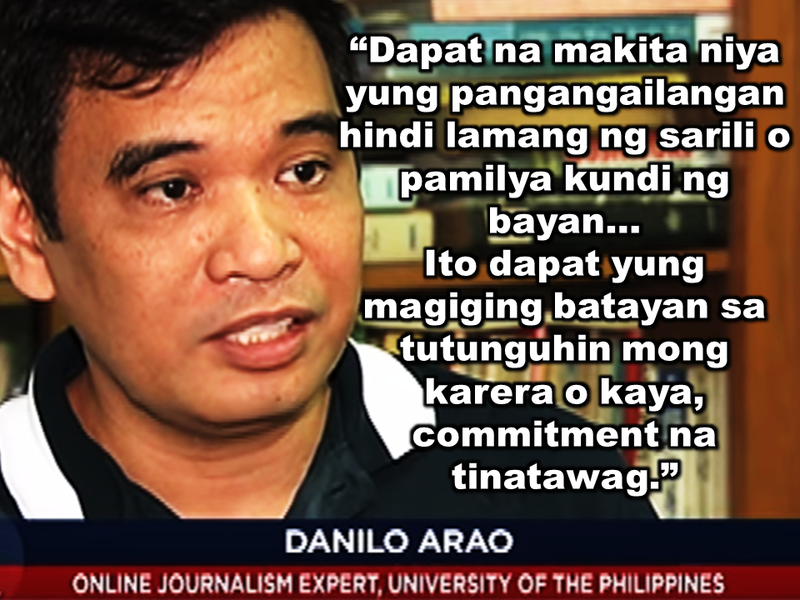 Meanwhile, University of the Philippines Online Journalism Expert Danilo Arao said that online jobs are not the best options because it could not be availed of the majority of the job seekers in the country and there are no demand for agriculture. It is only 4 million professionals who have social media accounts against 42.74 million work force. Arao also appeal to the job seekers to consider the needs of their country in finding their respective careers and do not only think about their self or their family.